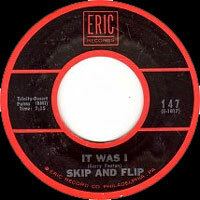 Duo Rock 'n' Roll US comprenant Skip (Clyde "Skip" Battin, né le 2 Février 1934 à Galipolis, Ohio, décédé le 6 Juillet 2003) et Flip (Gary Paxton, né à Mesa, Arizona). 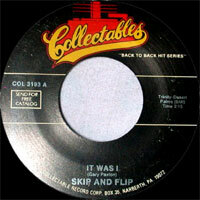 Skip & Flip ont enregistré chez Rev, Brent et Time Records. En 1961, Gary Paxton fut remplacé par Dave Marcell. Battin deviendra un membre des Byrds et Paxton, un membre des Hollywood Argyles. 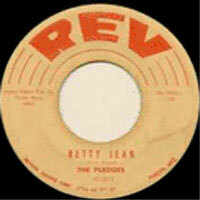 Once known as The Rockabillies, they recorded on Rev Records as The Pledges and then as Gary & Clyde. 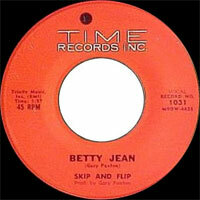 Time Records picked up their Rev master, "Why Not Confess" / "Johnny Risk", and then moved them to its Brent Records label, under the name Skip And Flip. 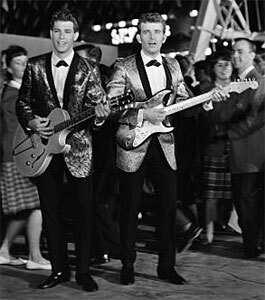 Their recording of Paxton's song "It Was I" entered the U.S. Top 20 in 1959 and the follow-up, "Fancy Nancy", also charted. 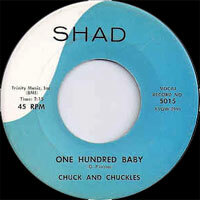 Their next release, a revival of Marvin And Johnny's R&B hit single, "Cherry Pie," made the Top 20 but proved to be their last chart entry together. 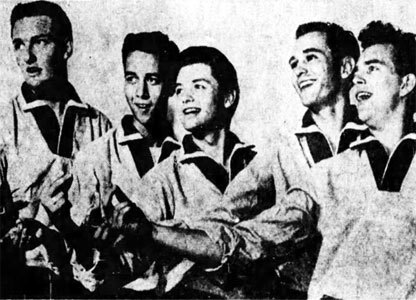 Paxton went on to record under several labels and several names, including the Hollywood Argyles, who topped the charts in 1960 with the novelty song, "Alley-Oop". 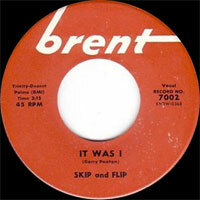 He also had hits as a producer and label owner. 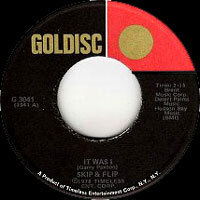 One of his productions included "Monster Mash", by Bobby "Boris" Pickett. Paxton later started the Bakersfield International label in the mid-1960s, attempting to cash in on the Bakersfield sound, recording out of a converted Flexible Flyer bus, in which he built a mobile 8-track recording studio, working with a number of musicians. These including several who later went on to play in The Byrds and other country rock acts of the era, including the Reasons (aka Nashville West, featuring Gene Parsons), Clarence White, Gib Gilbeau, and Wayne Moore), the Gosdin Brothers, and Dennis Payne. 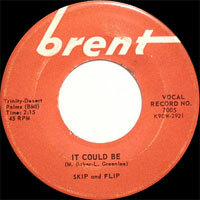 Many of these sessions ended up on low-budget releases and exploitative covers albums, such as Guitar Country by 'Bakersfield's Big Guitars' on Jasico Records, by 'Bakersfield's Big Guitars'. It would appear that Paxton sold these sessions to other labels to finance projects closer to his own heart. Paxton moved to Nashville in the early 1970s, recorded several country albums under his own name, and is now a noted personality in the gospel music world. 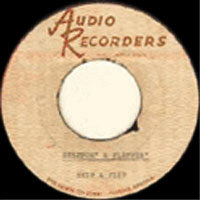 Battin recorded on Indigo Records, May Records, Groove Records, Audicon Records and Signpost Records. He played in such groups as Evergreen Blueshoes, The Byrds, New Riders of the Purple Sage, and the Flying Burrito Brothers, as well as session work with a wide variety of artists. 1969 SP ERIC 147 (US) .